From tracking small numbers of assets to handling large server farms with extensive equipment and inventory responsibilities, the AES solution is the most cost effective choice for meeting all requirements. A comprehensive system designed to significantly increase productivity and accuracy while assuring audit compliance, our solution offers a robust, proven solution for data center asset tracking. 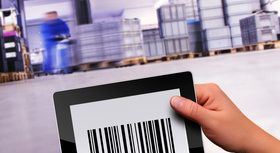 AES asset tracking technology provides a wide variety of capabilities, including everything from inventory management to incresed efficiency and enhanced security. Our asset management solution can be tailored to your specifications, including a combination of RFID, RTLS, GPS and barcode technologies. Provide accurate and reliable information for all your company's assets. This information can be accessed from anywhere in the world. Gather data and produce comprehensive reports to comply with audit, HIPAA and Sarbanes-Oxley requirements and regulations. Enhance productivity and eliminate potential errors to ensure a more efficient and accurate facility. Web-based allows you to manage, locate and verify your assets and operations from anywhere, anytime, with just a Web browser. Backup and recovery are no longer issues as servers are backed up daily and maintained by AES personnel. If a PC goes down at your location, simply move to the next PC and continue working. Many users can work simultaneously and access the same data in real time. No longer does there have to be a line at a workstation or fears of timing issues. Able to monitor servers, laptops, employees, tape media, mobile devices, etc. AES librarians can retrofit or install portals, readers and tags.